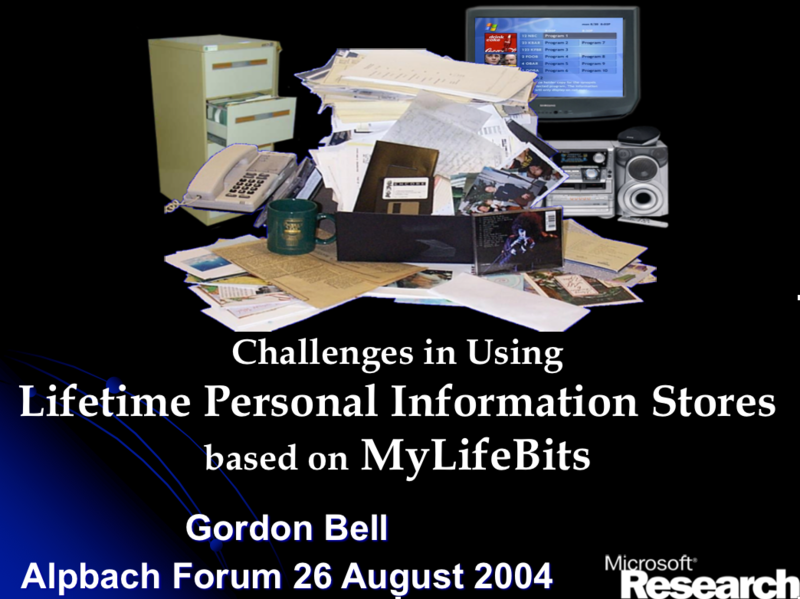 Found an intriguing post and powerpoint presentation on MyLifeBits, a Microsoft Research project led by Gordon Bell. MyLifeBits was inspired by Vannevar Bush‘s hypothetical Memex computer system. The project includes full-text search, text and audio annotations, and hyperlinks. The “experimental subject” of the project is computer scientist Gordon Bell, and the project will try to collect a lifetime of storage on and about Bell.